Did you know even newly constructed homes often have defects? It’s always a good idea as a buyer to get a home inspection and reading this article 9 Items to Check Before Buying a New Construction Home will also help educate you on things to lookout for. Beware of a buyers common misconception that since the home is brand new nothing will be wrong with it. While most builders will try to make sure the homes their building are in the best shape possible, sometimes things are overlooked and missed. Remember the builder is the one with their name on the home but most of the times the builder has subcontractors that do the work and unfortunately subs do cut corners. 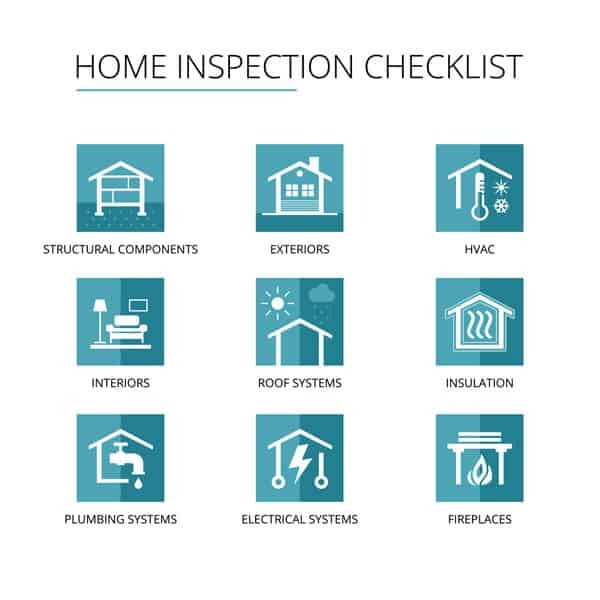 So, make sure you as a buyer do your due diligence and have an inspection done to ensure the home your buying is in the best shape and condition possible and most of all… built to local building codes. Another point to consider is that the home is obviously brand new, that a good thing right? Maybe not, the new home hasn’t been lived in thus hasn’t been thoroughly tested for life. Existing homes have had people live in them and all items tested through normal life procedures. Without the ability to do this on a new home you’ll want to heavily rely on some professionals in your corner to make sure everything is working properly and is neat and tidy. The small amount your pay for doing your due diligence as a buyer today can save you thousands down the road when something might not work properly and you find out you’re not covered. Structure: You’ll want to stand back from the house and get a good vantage point to ensure the home is square. Flat walls, non-bowed corners with no cracking at the door jambs will indicate that your home is not leaning. Grade: Make sure the dirt around your home at the base of the foundation is properly sloped, does not “pool” water and has proper drainage. Stained or blistering stucco is a likely indicator that you have damp walls. Roof: You’ll want to ask the seller for a roof inspection. As a buyer, your Realtor will likely be able to recommend a roofing contractor to take a look at things for you. Many times at no charge. Craftsmanship: Is the work in and around your home quality or does it look like it was thrown together? If what you can see looks bad, think about what you can’t see. Kitchen, Bathrooms & Plumbing: Make sure the water heater is properly strapped and water lines to fixtures have been properly installed with copper piping. Test all sinks, toilets, showers and baths. Let the water run and confirm you’re getting hot and cold water, also confirm you’re getting appropriate water pressure. Plug the drains and make sure they dont leak and when you pull the drain make sure they drain properly. Electrical: Take your time on this one and make sure there are enough receptacles and they’re properly installed. Hire an electrician to take a second look if you’re not comfortable assessing your home. HVAC: Test your AC & Heating unit, turn the heat on and measure the temperature coming from the vents. Likewise confirm the A/C is working within it’s appropriate guidelines. Insulation: You’ll have to get in the attic for this one. Make sure you have at least 6 inches of insulation for moderate climates and 12 inches of insulation for colder climates. You may also be able to remove an outlet cover on an exterior wall to check for wall insulation. Attic: While you’re in the attic take some time and look at the joists and trusses. This is an area where some contractors slip and if someone is living in the home you’ll want to make sure that the home is safe and secure for anyone living beneath the trusses. Hiring a structural engineer is a good idea in situations like this. Although this list is not inclusive of all items to check for it will at least give you an idea of some of the areas to be on the lookout for. Take your time as you go through the home looking for anything that looks out of the ordinary. Typical home inspections take anywhere from 2 to 4 hours so don’t feel rushed when you’re doing your own home inspection. If you have any additional questions regarding our article 9 Items to Check Before Buying a New Construction Home please do not hesitate to contact us. Additionally, feel free to leave a comment or post below.